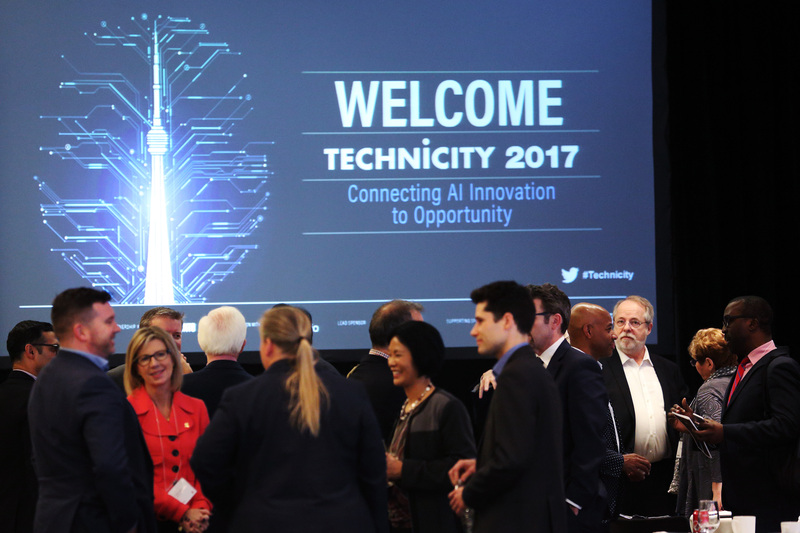 Dec. 12 marked the seventh annual Technicity event, co-hosted by ITWC (represented here by President Fawn Annan, left) and the City of Toronto (with Cllr. 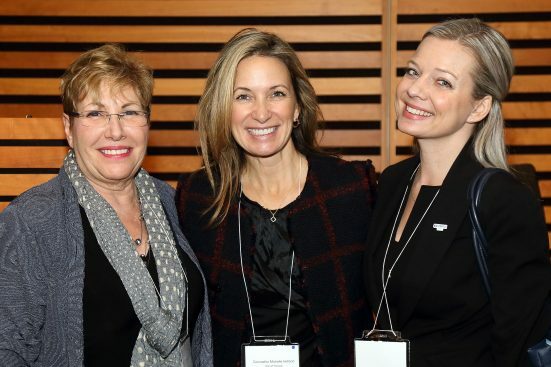 Michelle Holland at centre), this year’s event was sponsored by Cogeco Peer 1 (see Jaime Leverton, general manager for Canada and APAC right). 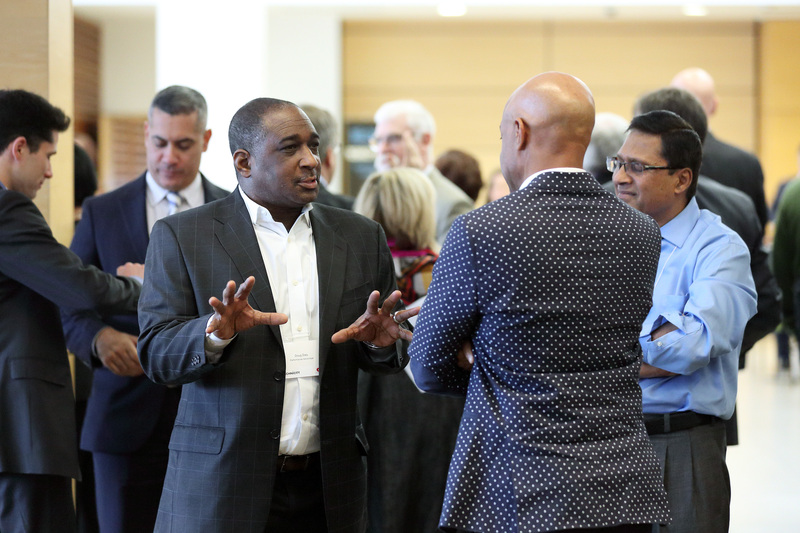 The conference provided a deep dive into artificial intelligence across all aspects of business in the city – from enterprises, to startups, to government operations. Here are a few of the day’s highlights. 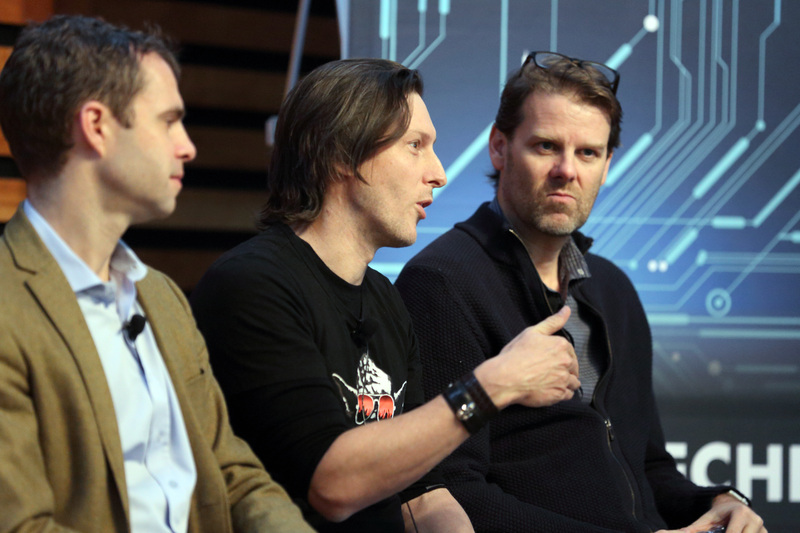 Tomi Poutanen, co-founder of the Vector Institute at the University of Toronto, explained why Toronto was a global hotspot for AI innovation. The fact that the Toronto-Waterloo corridor is the second-largest tech talent hot spot in North America helps, and of course the University of Toronto is home to Geoffrey Hinton, the creator of the popular neural networking approach to artificial intelligence. 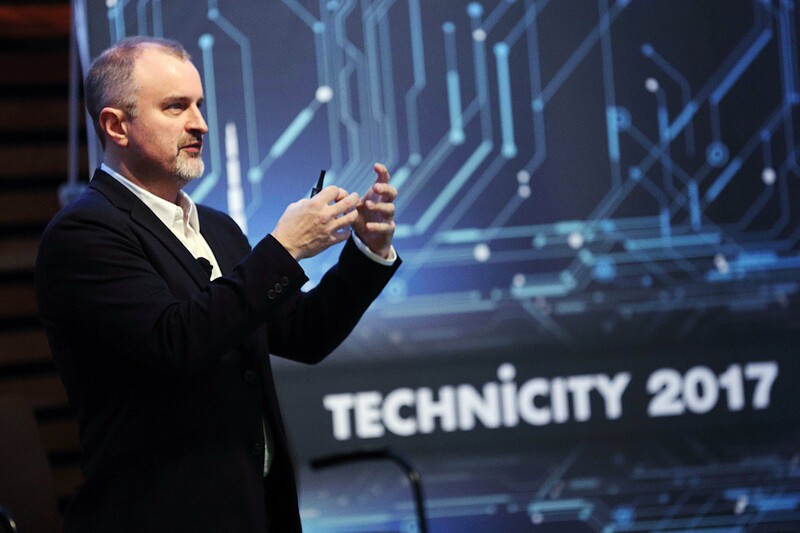 In a panel discussion, Glen Gore, the chief architect at Amazon Web Services, predicted that AI would impact every industry. He says that Amazon and other major players in the AI space are trying to use their innovation to solve complex business problems across various applications like fraud, traffic management, and quality control. But finding the right talent to help a company upgrade its AI capabilities can be tough when Silicon Valley giants are chasing them. 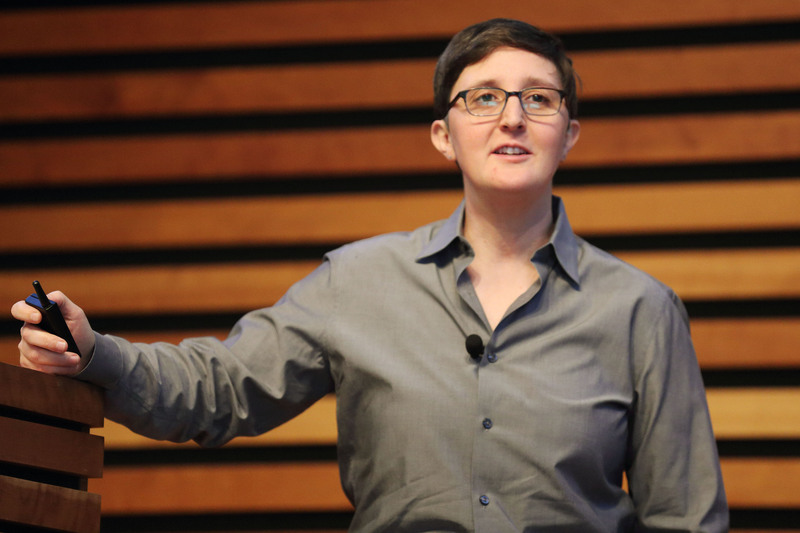 Ontario Chief Digital Officer Hillary Hartley delivered the luncheon keynote, describing her first several months in her role, chipping away at the government’s legacy systems. Just one of her achievements is implementing an aid calculator into the Ontario Student Assistance Program website. It’s helped grow post-secondary applications by 50,000. “Who doesn’t love seeing how much money they could get from the government?” she says. 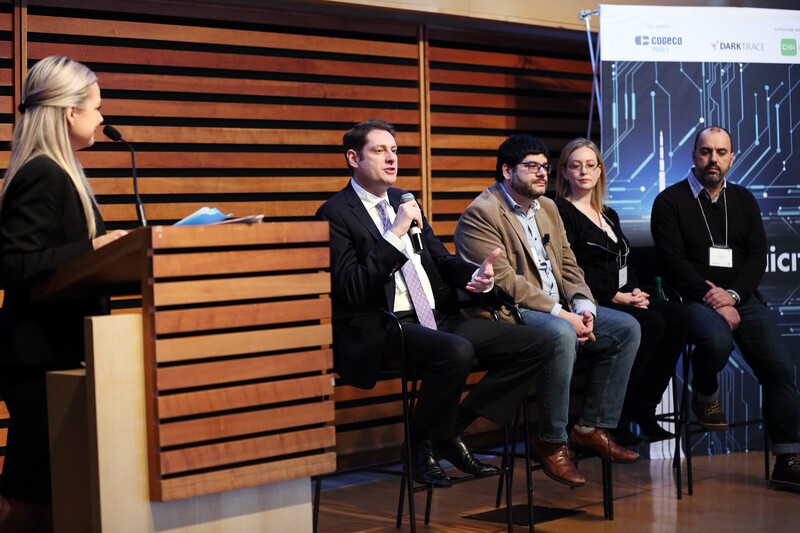 Cogeco Peer 1’s Leverton led a panel discussion on what disruption AI could bring to the workforce. Jeremy Depow, vice-president of policy and research at ICTC, predicted that worries of a ‘jobpacalypse’ were overblown. While AI will automate some tasks currently done by workers, it won’t be an overnight shift, he said. But employees will have to pick up a more diverse set of skills to be able to maintain their value in a future where more repetitive tasks can be automated by an algorithm. Did you guys know Doug was at Technicity? What a great guy. Since Alphabet subsidiary Sidewalk Labs announced a deal with Waterfront Toronto to bring its unique brand of digital development to Quayside, many in the city and beyond have wondered what might come from the partnership. 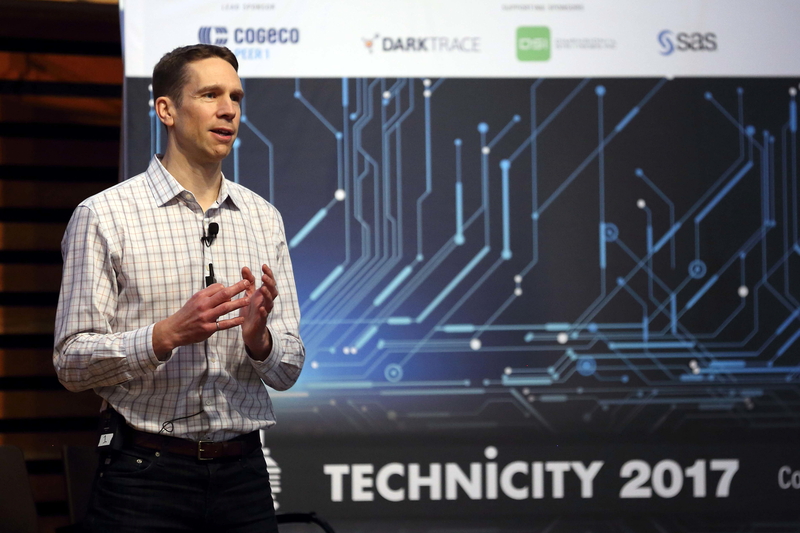 Sidewalk Labs Chief Technology Officer Craig Nevill-Manning said it would serve as a test bed for innovations to be deployed around the world. He said that the new neighbourhood’s streets would be restricted to self-driving cars that would make way for pedestrians and cyclists. The buildings would also be “a little more like software,” and more pliable. 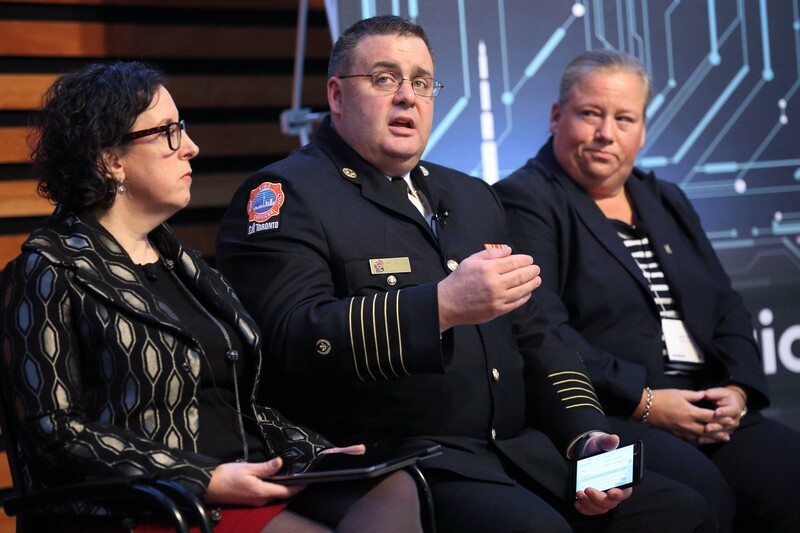 Toronto Fire Chief Matthew Pegg described how AI is helping his service distribute its trucks and first responders across the city to ensure the best service level possible. When half of the on-duty staff were required for a major fire at the Badminton and Racquet Club of Toronto in February, city-wide coverage only decreased by nine per cent. “I’m not aware of anyone in Canada that has a more robust allocation and commitment towards analytics to inform their decision making,” he adds. 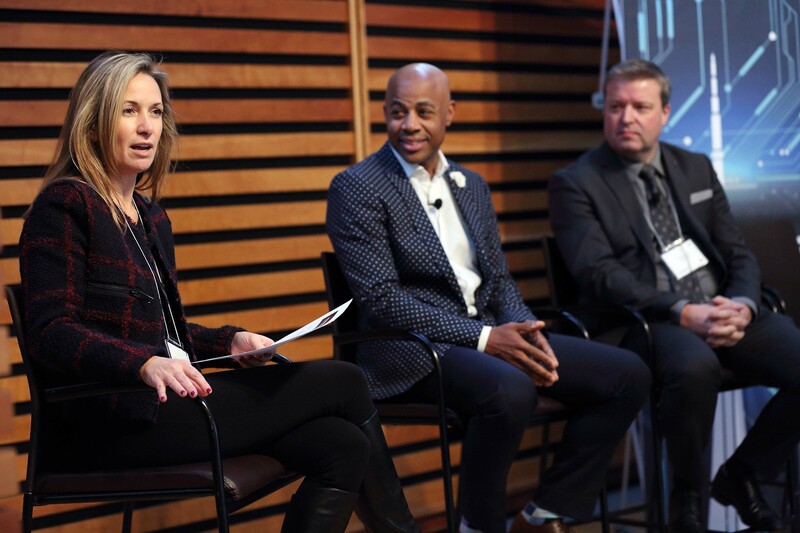 Councillor and innovation advocate Michelle Holland discussed innovation and partnerships with Toronto’s CIO, Rob Meikle, and its chief transformation officer, Michael Kolm. Meikle said that a different attitude towards procurement was taking shape at the city now, that a willingness to experiment and try something new was being welcomed. He pointed to an example of an augmented reality pilot project at Toronto Water that would avoid sending out maintanence workers in some cases. “Now we can send out drones that are difficult or unsafe for staff,” he said. 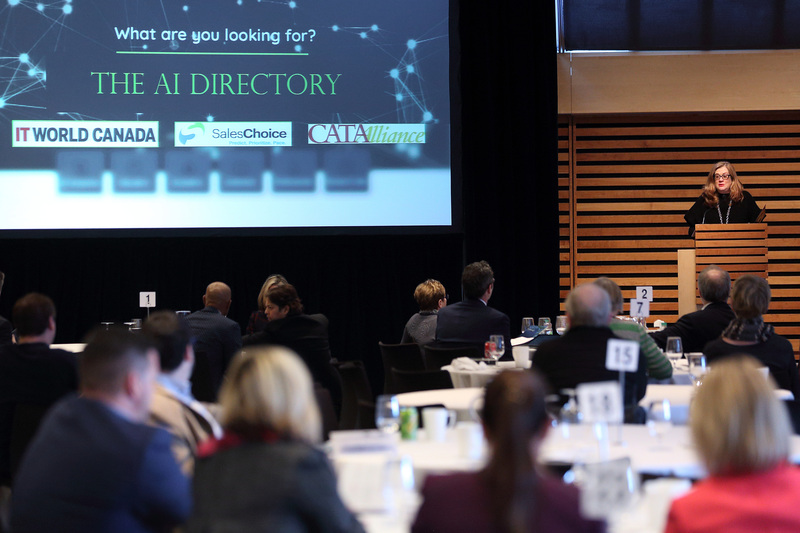 ITWC launched the AI Directory alongside its partners CATA and SalesChoice Inc. With AI having a far-reaching impact on Canada’s economy and many startups innovating in the space, the directory offers a place to discover these companies and learn about their efforts in the space. Making the announcement of the launch at Technicity was SalesChoice CEO Cindy Gordon, who said the goal is to help Canadian firms expand their business globally. If there was one over-arching message out of Technicity 2017, it was that the time is now to experiment with AI at your business. If startups can create it, enterprises can implement it, and government can harness it to improve the lives of their citizens, then you can find a way to make AI work for you. And if you need help to do it, the good news is that Toronto – and right across Canada – there are lots of eager partners waiting to assist.